The Llanberis Slate Museum tells the history and politics of this important natural resource. The National Slate Museum is located in the Victorian Engineering workshops which sustained the enormous slate quarry above it, and which empolyed 3,000 men and boys in its heyday in the 1890s. 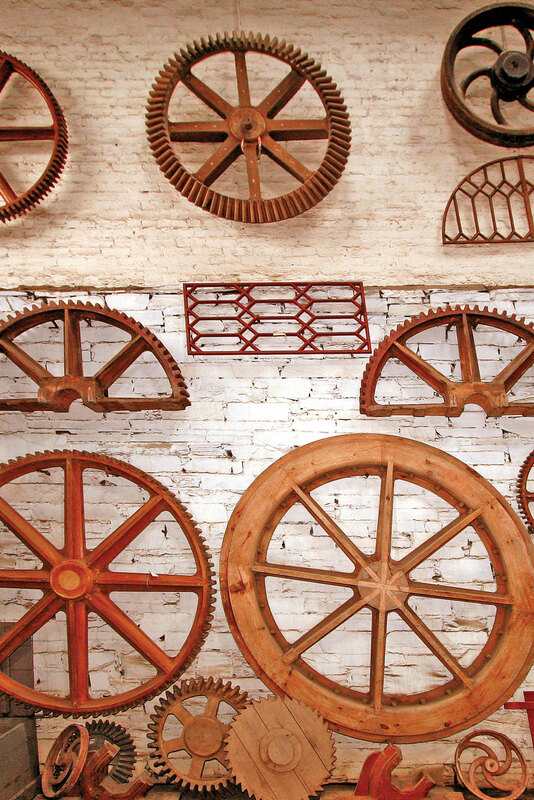 Wooden patterns were part of the engineering process and were used to make any metal object needed by the quarry – from cogs to engine parts, windows to wagons. There are over 2,000 in the museum’s collection and they are all being cleaned, catalogued and cared for, as part of a long-term project, to make sure they are looked after for generations to come.